The Western bank is still quite. People are anxious, but hopeful that the advances of operations on the southern front will eventually lead to put an end to all this quietness and marking the beginning of the battles. What they fear the most is the uncertainty with all this. They keep saying “Liberating Mosul’s airport will bring us hope”, because they feel the operations on the Eastern bank are taking much longer than anticipated. And ISIL is constantly patrolling the Western bank. The Eastern bank, however, people are living a bigger fear; they are constantly under fire, ISIL is bombing the heavily occupied residential areas with mortar shells and people are stranded inside their homes, don’t know what to do, or where to go! 1- The liberated neighborhoods on the eastern bank of Mosul are: Al-Khadhraa Apartments, Al-Tahrir, Al-Zahraa, and Al-Zuhur. Al-Muharibin neighborhood is under ISIL mortar fire. So far, the number of civilian casualties reached 18 people, some of which are buried at Al-Jana’ain school at Al-Muharibin neighborhood. 2- ISIL uses snipers to target anyone leaving their home at the areas still under its control, like Al-Muthanna, Al-Qahira, Al-Qadisiya, and Al-ssukar. 4- ISIL captured 12 people attempted to reach the liberated areas. ISIL, later, set them in a trapped house and bombed it and claimed that the house was targeted by the coalition and suffered civilian casualties! 5- The bridges in Mosul, aside from the old bridge, are all out of service. Today, the bridge was very congested because ISIL families were moving from the Eastern bank to the western bank. I can safely say that there is no presence of ISIL families on the eastern bank. ISIL now considers the entire eastern bank as “Dar Harb” (a war zone), and I believe that in less than a couple of weeks, the entire eastern bank will be liberated, some of its neighborhoods maybe will be freed without any significant fighting. 6- Till date, the number of civilian casualties has reached about 70 people because of the strikes and ISIL’s mortar shells as it is targeting the residents, and by car bombs among residential areas. 7- ISIL killed 3 people by its snipers at Al-Zuhur neighborhood in Mosul after their attempt to leave their homes and join the Iraqi forces. 8- The medical situation is very critical and dire in the city. 9- I learned about a group of ISIL fighter, about 30 members of them along with their families, have surrendered to the Peshmerga in a secret deal with leaders from “Tai” tribe and the Kurdish Asayish group. the deal took place in northern Mosul. 10- The infrastructure of Mosul is completely destroyed since ISIL’s invasion of the city. ISIL destroyed all the historical ruins and the sensitive structure of the city, and coalition bombardment destroyed all the government buildings. 11- Many houses on the eastern bank ISIL turned them into ammunition warehouses and booby-traps. 12- I came to learn that many ISIL fighters are attempting to flee but they don’t have any means or ways to flee. Also, ISIL is executing anyone attempts to flee under the accusation of “Withdrawal on the day of crawl” (meaning: withdrawal on the battlefield). 13- The way the Iraq military is dealing with the citizens of Mosul at the liberated areas on the Eastern bank helped to relieve a remarkable amount of pressure on the residents on the Western bank of Mosul and many start to feel settled by this type of treatment. They are waiting eagerly and patiently for the forces to reach their areas. The prices of food are getting more and more expensive, but the problem is not in the prices as much as it about the people and their inability to afford to buy what they need. I was very surprised yesterday to learn that there is French goods in the market (Fresh vegetables), specifically Turnips and Potatoes! I have no idea how did those goods got into Mosul! The Turkish goods are already available in Mosul’s markets for a long time, and the Saudi goods like fresh groceries that used to fill Mosul’s markets through Syria are no longer seen in the markets because of the roads are completely disconnected. The price of a Whiskey bottle has decreased a little bit. Red Label used to be sold for 300 thousand Iraqi Dinars and now it is sold for 250 thousand although it is very scarce. The price of a bottle of Yeni Raki (Turkish Raki) is now sold for 200 thousand Iraqi Dinars after it used to be sold for 250 thousand. There are other types, also scarce. A friend of mine told me that he managed to buy a “Jack Denials” for 500 thousand Dinars! The is saving it and promised himself to drink some of it the moment Mosul Liberation is declared and will save the rest as a historic record! I must say that I should have shared news like this long time ago, even though I recall that I mentioned something about the trade of Alcohol in Mosul the beginning of 2015. 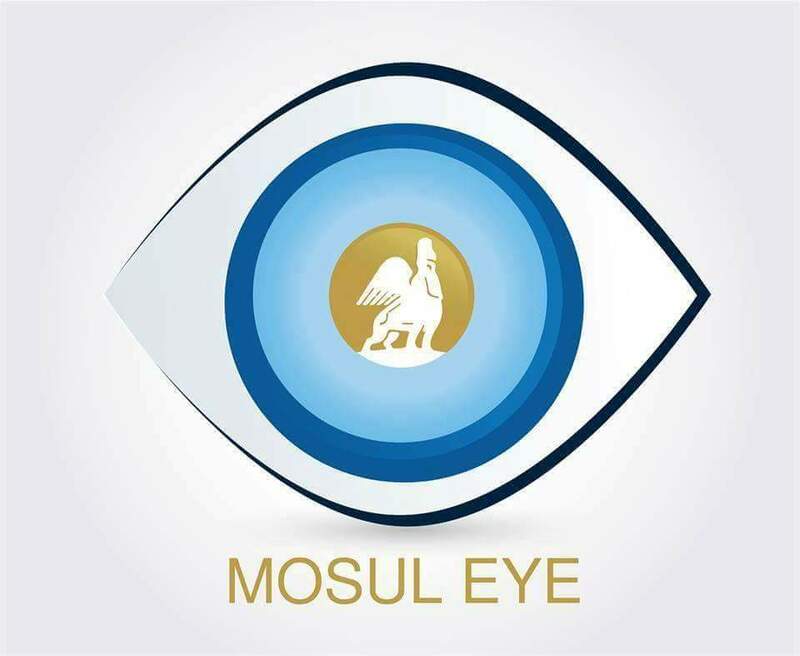 Despite of the ruthlessness of ISIL, Alcohol trade continued in Mosul regardless of the severe penalties and punishments ISIL has imposed about it. I recorded on March 9th, 2015, that someone built a small brewery to produce alcohol locally, but later, ISIL exposed him and killed the brewery owner. I also recall that when the roads were still open between Baghdad and Mosul, a taxi driver used to transport alcohol by storing it in one of his car parts (the windshield washer tank), but unfortunately, ISIL exposed him as well. At the beginning, the penalty for an alcohol drinker and trader was flogging, confiscating all his goods and paying 100 million Iraqi Dinars in fines, but after that the penalty was changed to execute the trader and the drinker under the accusation of “combating God and his Messenger”! Yet, regardless of ISIL sever punishment, many continued to drink, and those punishments are still active till date. Meanwhile, the prices of cigarettes for all brands is fixed at 1500 dinars, the most popular brand is Gauloise and in the past few days, it started to be more available than before despite all the penalties imposed by ISIL on smokers. Among the penalties imposed on smokers are cutting the smoker’s finger, detention, fining, apprehending the trader and sometimes executing the seller. The price of the “Muassil” (hooka tobacco) pack, for the hookah smokers may reach to about 10 thousand dinars. Sometimes it is sold in bulk amounts; the price of 250 grams of “Muassil” (honeyed) is about 15 thousand dinars. The prices of oil products have skyrocketed since the start of the military operations and as winter started. People are confused as of what they can do. Also, there is a shortage in car fuel as well. Thank you to go beyond “pain, fear, sadness, and thinking ” to let us know what’s happening INSIDE Mossoul, because in fact, the only news we get here are about military moves, and not so precise…..I notice specially what you said about the ISIL’s member who’d like to flle, like those you mentioned dealing with kurdish forces….Do you think more ISIL people do the same if they know HOW it is possible? Thank you for this update, as well as all of your other posts. Here in Canada we are thinking of you and Mosul continually. Liberation, soon!! Your friend with his Jack Daniels has a good idea. It made me smile to imagine the moments this special bottle will travel from refreshment to relic on that happy day soon. Take care. 1. That you will experience the peace of God. True peace in such times can only be given by God. 2. That you will not be ruled by fear rather by a hope that all the suffering will one day come to an end. 3. That you will be provided for miraculously….. By the way how do you get by for the very basis needs? 4. That the force of evil being exercised by ISIL will be defeated and that those perpetuating the gravest of atrocities will be comprehended. There are times I have just been wondering if you are still hanging in there especially when I check the blog and there are no updates. Have courage my bro/sis. All will be given well with you and your loved ones. Remember there us a community here in Kenya who are praying for you and committing the events in the Middle East into Gods mighty hand. If you are able to write specifically what we could pray for and any other way we could help we will do that. Blessings and hope this will be the week that coalition forces liberate your neighbourhood. Continued prayers for counter-terrorism efforts, safety and liberation. Thank you so much for this information. I was very pleased to see another post from you today. Hopefully this war will be over soon and the process of rebuilding can start. I look forward to hearing your views on this. Thinking of you. Like others, I check this blog daily. I am very pleased to see you are still alive. Wikipedia provides much information on liberation updates. Listening to you from Texas, USA. Like others, I check this blog daily. I am very pleased you are still alive. I also check Wikipedia’s ‘Battle of Mosul 2016’ entry. It does a decent job of recording liberaton force progress. Be very careful (when “the beast” feels weak, it becomes even more dangerous) and stay safe. I think that the liberation will take place very soon. Thank your for your news and take care. God weeps at the inhumanity of men who claim to act as judge on his behalf. Jesus said to those who wanted to stone a woman caught in adultery, “he who is without sin cast the first stone” and when all had left said to the woman “go and sin no more”. I pray that the people of Mosul will see that the will of God is not hatred, revenge and violence but love, forgiveness and peace. His is the only way forward for a city that has experienced such unspeakable evil. May those caught in the horror of evil find the mercy of God.